Hansen’s industrial gearboxes are used in a range of specialist applications in industries such as the chemicals, energy, material handling, environmental, extraction, pulp and paper, steel and metal, food and beverage, and construction industries. 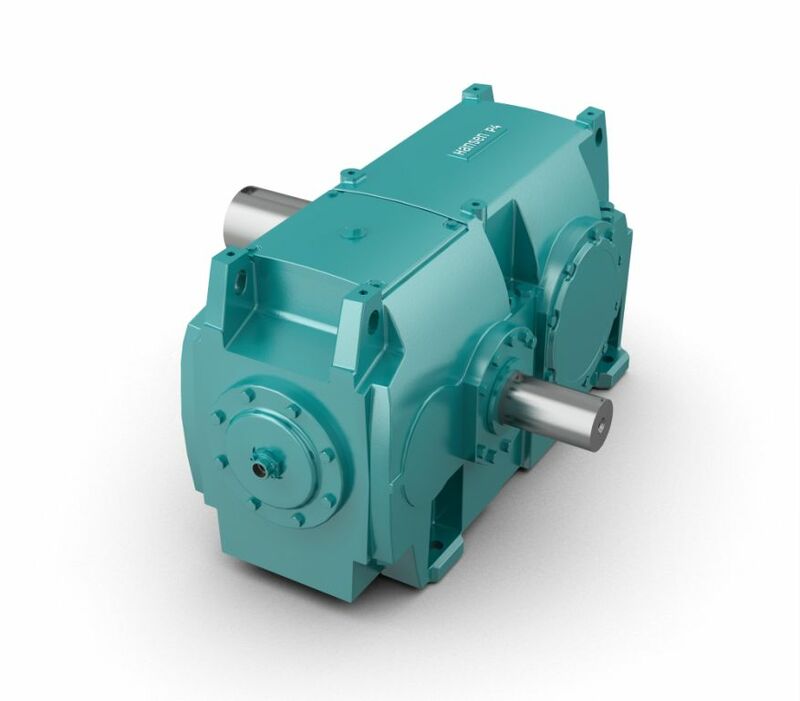 Our industrial gearbox range consists of a core standardised selection covering over a hundred different applications in a torque range from 6kNm to 1100kNm which are suitable for both right angle and parallel shaft configurations in either horizontal or vertical arrangements. 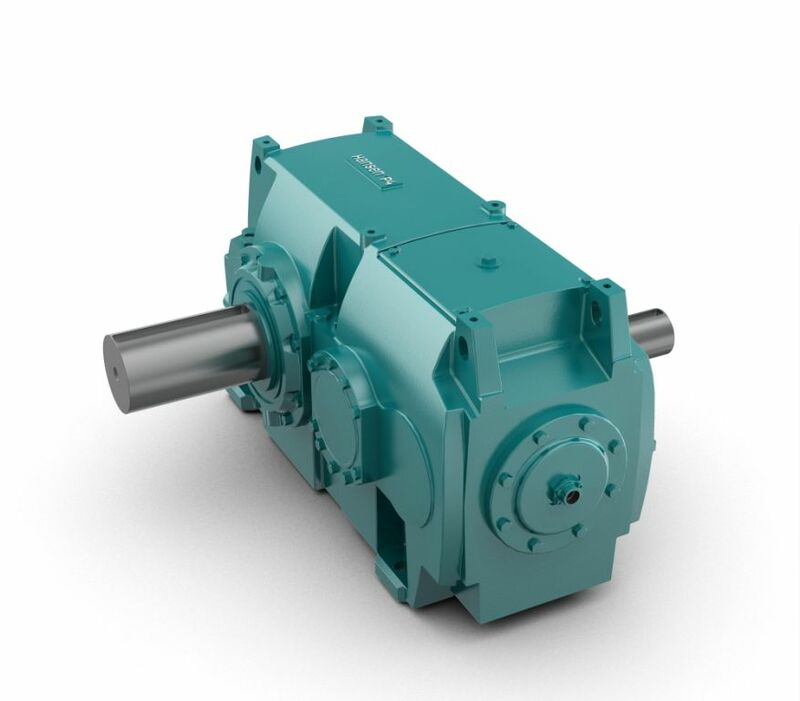 Throughout our history, four generations of standardised industrial gearboxes have been developed, the latest generation being the P4 series which is a modular design that can be adapted to suit customer requirements through extensive applications engineering during the sales process. Mounting pads for motor base on the top of the unit. Strong oval lifting lugs for easy handling. Standard fixation points for easy mounting of accessories on the side of the gearbox (e.g. cooling systems). Provisions for crowbar on smaller housing for easy alignment during installation. Provision for easy removal of covers to perform service on the spot when needed. The rounded external design ensures a smooth surface without dirt or moisture retaining cavities. Provision for complete oil drainage = drain plug at lowest position and system of internal drain holes and channels. Central filling connected to internal oil distribution system to ensure all parts are lubricated before start-up. Large inspection cover with re-usable O-ring. Horizontal split housing for easy maintenance. The Hansen P4 product range of single stage gear units comes in a parallel horizontal configuration. The monobloc single stage units are available in five sizes (C through G) with torque ratings from 15-75kNm and ratios between 1.2 and 5.6. The performance of single-stage P4 units is characterized by low noise and light weight and exceptional reliability. Standardized heavy duty single stage gear units. With this range of heavy duty single stage gear units, HIT extends its current single stage offering further into the multi-megawatt power range. 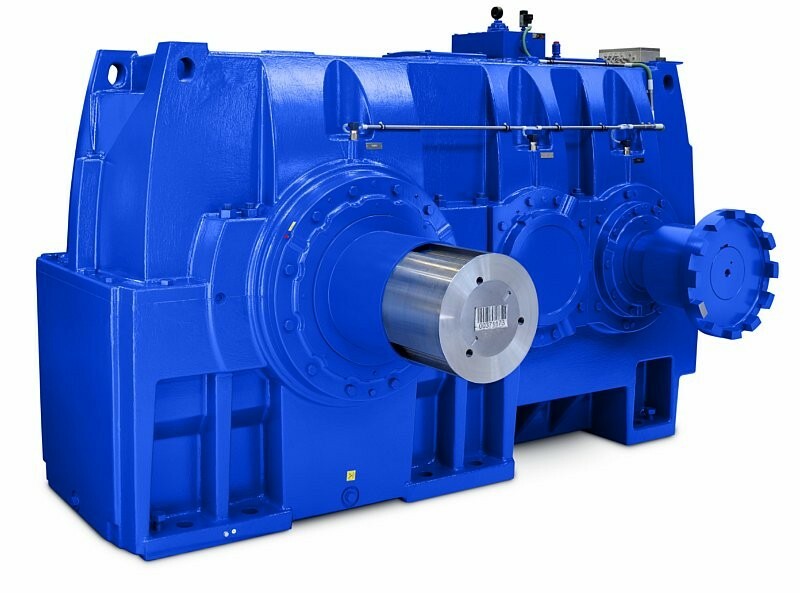 These single stage units make use of the proven Hansen P4 technology and are especially suitable to drive large pumps, blowers, compressors, refiners, etc. The Heavy duty single stage unit is available in a parallel horizontal configuration with split housing. 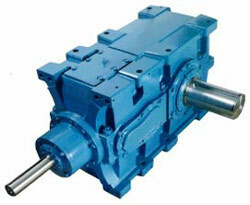 These gear units are available in 4 sizes (G through K) with a power rating up to 12 000 kW and ratios between 2.5 and 5. The P4 gearbox is available in 19 different sizes, ranging from 6kNm to 1100 kNm torque and with a power rating of up to 7,500kW. It is available with two, three or four-gear stages and reduction ratios between 6.3 and 630. There is also an option of a solid or hollow low speed shaft and parallel or right-angle shaft arrangement to cater for specific industrial requirements. Also a single stage version for applications such as pumps is available. The Hansen P4 product line/range of single stage gear units is available in a parallel horizontal configuration. The monobloc single stage units are available in five sizes (C through G) with torque ratings from 15-75kNm and ratios between 1.2 and 5.6. The heavy duty single stage unit has a housing with horizontal split plane. These gear units are available in 4 sizes (G through K) with a power rating up to 12 000 kW and ratios between 2.5 and 5.6. 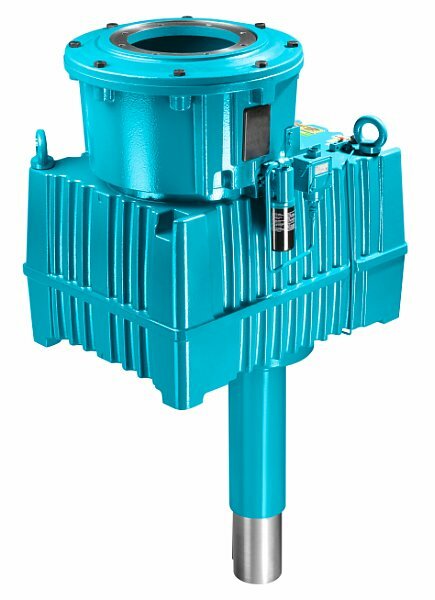 The Hansen M4 ACC product line is available in 6 sizes within an output torque range from 20 to 70 kNm and a wide range of reduction ratio’s, designed to comply with the standard Cooling Technology Institute specifications for gearboxes. Its helical gears are designed and rated in accordance with AGMA for maximum load capacity, minimum losses and quiet operation. The UniMiner gearboxes answer the needs of mining and bulk material handling applications by offering a rugged, sealed design that is alignment-free and easily adaptable to a variety of mounting configurations. The UniMiner design incorporates carburized and ground gearing, grease purgeable seals, and heavy duty bearings to ensure longevity in the harshest environments. 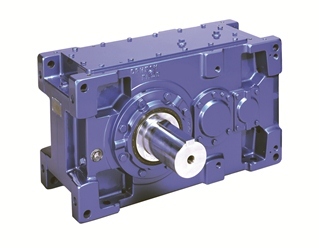 As with all Hansen industrial gearboxes, UniMiner offers all common motor, shaft, and mounting options, and can be readily accessorized for unique applications. The Invertible gearbox in conjunction with the optional rigid flange coupling and motor lantern makes it highly suitable for conveyor applications. 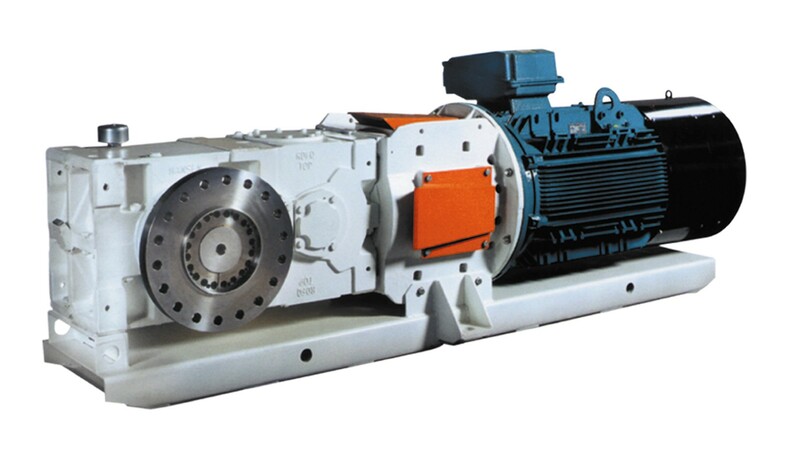 The Invertible gearbox alleviates the past requirement of separate drives for left and right hand orientation of gearbox drives on multiple drive conveyors. The innovative gearbox can be inverted, i.e. turned 180° for either handing. The resultant reduction in the number of spare gearboxes to be held in stock for possible breakdowns leads to significant cost and space savings. 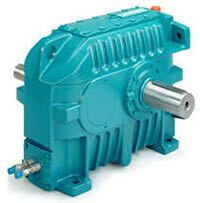 In Europe, our complete drive solutions portfolio also allows you to either opt for P4 gear units (for your high torque range applications) and benefit from flexible though customized and engineered solutions; or select a PARAMAX quality gear drive (for your lower torque applications) and as such choose a more standard and economical solution. Either way, the extended and more precise selection opportunities will cater for more economic solutions in any application. Paramax helical and bevel gears of the standard Paramax range and the various special Paramax versions are the outcome of six decades of experience in drive engineering. By virtue of the modular design, they permit use under difficult and severe conditions even in the most diverse applications. The Paramax product range consists of the standardized 9000 series with 26 sizes that allow precise application design according to the performance, torque and velocities, thus ensuring a long service life and cost effective, powerful operation.